Red House near Franktown Creek. The new Tunnel Creek East trail will improve the link between the Tahoe Flume Trail and the Red House Flume Trail. The current link on Tunnel Creek road is a steep, nasty fireroad with loose sand that makes passage on foot or bicycle difficult. A new section of singletrack will make the connection much easier. 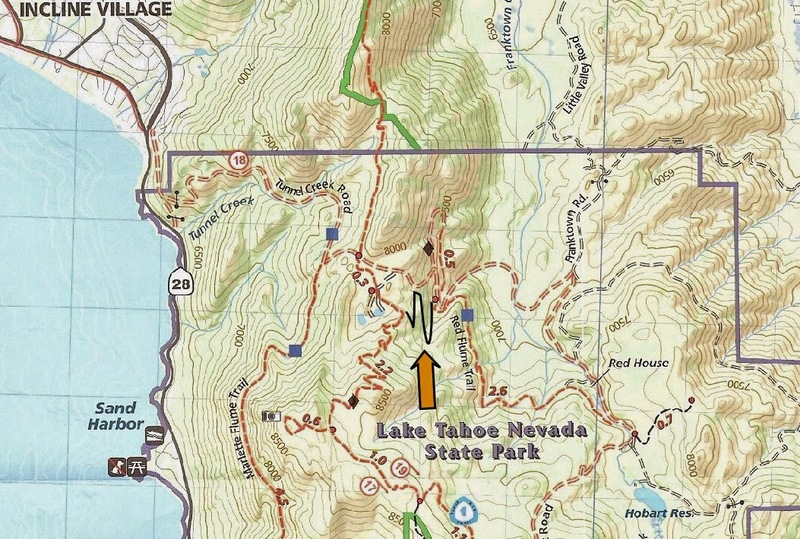 The Tahoe Area Mountain Biking Association (TAMBA) has been working with Nevada State Parks to design and build the new trail near Twin Lakes, that will bypass the steep fireroad section. The new “singletrack superloop” is approximately 1 mile in length. Crews have been working to clear more than 100 dead and down trees along the new trail route. The trail is set for completion on October 12, 2014. Volunteers are needed for a final day of work on October 11, 2014. Volunteers meet at 9:00am behind the Tunnel Creek Cafe (1115 Tunnel Creek Road, Incline Village) for a ride to the worksite. The new Tunnel Creek East Trail will also provide riders and hikers easier access from the Tahoe Rim Trail down to Red House. Red House is a weathering old “caretakers house” along the water flume. Caretakers lived in the house and protected the water routes for the mining companies up until 1957. 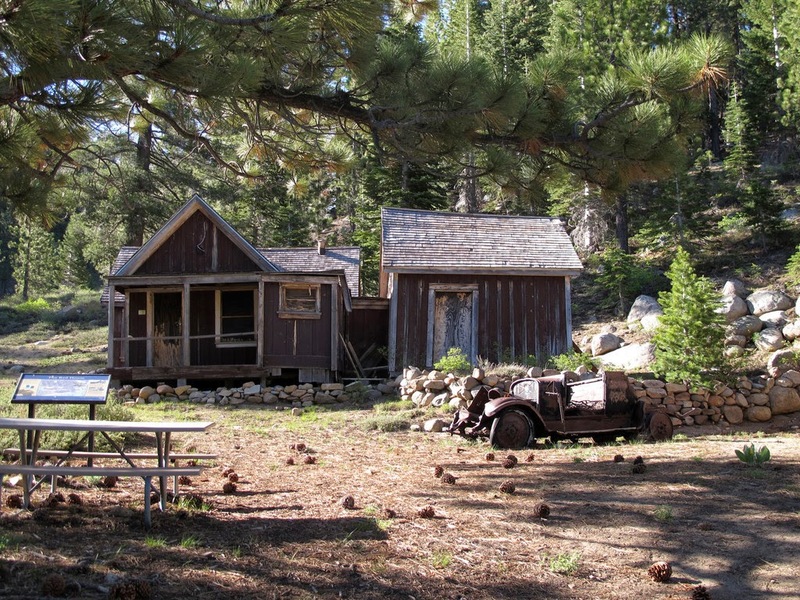 The Red House became part of the Nevada State Parks in 1963. New trail section. Click to enlarge.